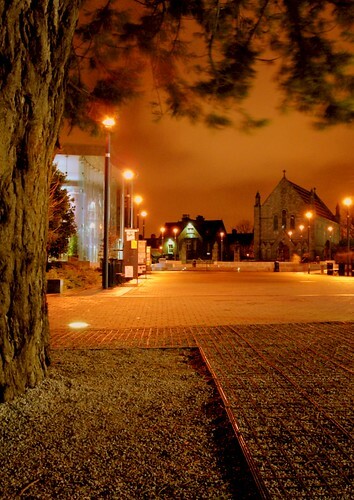 UCC at Night, originally uploaded by robron1. This is the new(ish) student walkway and student centre in UCC. Took this last week when I didn’t have a chance to take photos elsewhere. Oh Wow, That is an amazing picture, the lighting is incredible. Wow that is an amazing photo. You must be an amazing photographer! What do you look like? Oh robron you kidder! I’m quite a fan of The Hoff, actually. Do you like Baywatch? I love your pictures .. Congratulations.. great ! Next time I see you, ‘noteoin’, you’re getting a camera where the sun doesn’t shine.